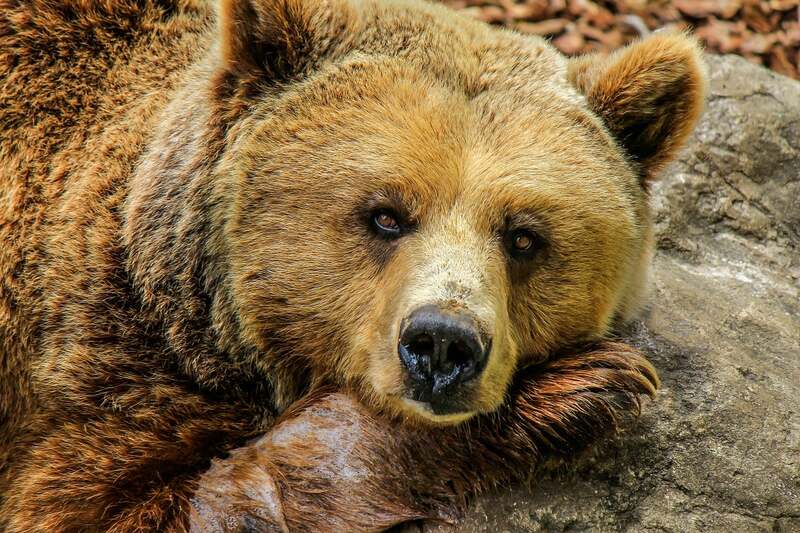 A bear market is traditionally defined as a 20 percent slide from recent highs and is usually accompanied by widespread panic among investors. In December, the S&P500 declined 19.8% from its September 2018 peak. Although the index has rebounded strongly many investors and the media believe that we are currently in the beginning of a global bear market. Ankur Shah discusses his views on whether there is further market carnage ahead in his recently published 2018 Annual Investor Letter. In his book, The ONE Thing, Gary Keller explains that a single domino can bring down a successive domino that is up to 50% larger. Thus, a single domino can theoretically bring down other dominoes that are significantly bigger as long as they are lined up in a sequence. If you started with a single domino that was just two inches in height and it knocked over the next domino that was 50% larger, the 10th domino would be the size of an American football player. The 31st domino would actually be taller than Mt. Everest. This theoretical example highlights the difference between a geometric progression and the more mundane linear progressions that we normally experience. The point that Keller is trying to make is that “extraordinary success is sequential, not simultaneous”. Similarly, I believe the best way to build a stock portfolio is one position at a time and to focus on a few high conviction ideas. The opposite strategy would be to take small position sizes across a basket of low conviction ideas. With the former strategy, you run the risk of underperforming the market during a big year, which is what happened in 2017. Essentially, with a concentrated portfolio, you have to risk short-term underperformance in order to achieve long-term outperformance. Ashva Capital LP (the “Fund”) ended 2018 down (5.49%) net of expenses. In comparison, our benchmark the iShares MSCI India ETF was down (7.57%). Our performance was largely in-line with my expectation that the Fund will tend to outperform in down markets due to the composition of our portfolio. As I explained in the 2017 year-end letter, one of the core pillars in our investment strategy is a focus on ROE, which is a proxy for high quality. 2018 reflected a reversal of the outperformance of the small and mid-cap space that happened in 2017. The Indian market appeared relatively calm from the perspective of the major indexes. However, there was a significant amount of churn just below the surface with some formerly high flying small and mid-cap stocks correcting heavily. Again fund flows served as an excellent timing tool as retail investors piled into small and mid-cap funds just in time for the large-caps to outperform beginning in mid-2018. Ultimately, earnings growth drives share prices over the longterm, however, you must be cautious not to overpay for that growth. Vinati Organics is a specialty chemical company producing aromatics, monomers, polymers, and other organic intermediaries. The company is currently the world leader in the production of Isobutyl Benzene (IBB) and 2-Acrylamido 2-Methylpropane Sulfonic Acid (ATBS). Lubrizol, the company’s largest competitor, exited the ATBS market in 2018. As a result, the company now has 65 percent global market share in ATBS. The shares have roughly doubled from our initial purchase price. I’m going to maintain our current position due to a combination of capacity expansion and new product launches in 2019 that will continue to drive top-line growth. GRUH Home Finance is an affordable housing lender primarily focused in the rural areas of Gujarat. The company was a subsidiary of HDFC (Housing Development and Finance Corporation). However, HDFC announced on January 7th that it would be selling its 57.83% stake to Bandhan Bank via a share swap deal. HDFC will still retain a 15% stake in the merged entity. Bandhan has a strong presence in the Northeast of India and was started as a micro-finance lender, while GRUH has a strong presence in the West. As a result, the merger will create a major opportunity for cross-selling of products. In my opinion, the sale of GRUH was an opportunity for HDFC management to monetize an investment trading at a 13.5x P/B multiple. In comparison, HDFC itself was trading at a 4.8x P/B multiple at the time of the merger. I'm maintaining the position in the new entity as the merger creates an attractive franchise with a strong base in the Northeast. Britannia Industries is one of India’s leading food companies and produces a wide variety of biscuits, bread cakes, and dairy products. The company’s products such as Good Day, Tiger, Nutri Choice, Milk Bikis and Marie Gold are household names in India. Although the company is currently fully valued, management has an impressive product launch pipeline. The company is launching 25 new products over the next two years, which will drive revenue growth and ultimately the share price. City Union Bank (CUB) has a hundred year plus track record of profitability and dividend payments. The bank has demonstrated consistent performance in terms of growth, asset quality, and profitability. CUB’s performance is exceptional in light of the extensive stress on asset quality facing the entire Indian banking sector and public sector banks in particular. In my view, the bank will prove to be a steady compounder. Bajaj Finance Limited is a leading NBFC (Non-Banking Financial Company) in India. The company deals primarily with consumer finance, SME lending and wealth management. In September, IL&FS a leading infrastructure financing company defaulted on its commercial paper. As a result, funding costs dramatically rose across the NBFC sector. NBFCs can’t utilize retail deposits and are solely reliant on wholesale borrowing. The smaller NBFCs will be hit the hardest and face shrinking margins along with constrained balance sheets. The larger and higher quality NBFCs, such as Bajaj Finance, will undoubtedly pick-up market share as their smaller competitors struggle. Bajaj Finance’s earnings growth is supported by competitive borrowing costs and its drive toward generating a greater proportion of fee-based income. A bear market is traditionally defined as a 20 percent slide from recent highs and is usually accompanied by widespread panic among investors. In December, the S&P500 declined 19.8% from its September 2018 peak. Although the index has rebounded strongly many investors and the media believe that we are currently in the beginning of a global bear market. Many are attributing the sell-off in December to an aggressive Fed, US-China trade tensions and the fear of a potential recession. I agree we’re in a late-cycle environment but I don’t view the recent correction in the US as a harbinger of further market carnage. For a major bear market to develop we would need the combination of excessive positive investor sentiment and the US economy slipping into a recession. The Great Recession of 2008 has scarred a generation of investors. Equities globally remain unloved and the euphoria normally associated with the late stage of a bull market is virtually non-existent. The US economy has slowed down but has yet to tip into a recession. The Conference Board’s LEI (Leading Economic Index) for the US, which combines 10 forward-looking indicators, fell 0.1% in December following a 0.2% rise in November. The recent LEI data indicates that GDP growth is decelerating but will remain positive in 2019. Many journalists and prominent investors believe that there is a risk an overly aggressive Fed goes too far in the tightening cycle and eventually inverts the yield curve. I wrote about the yield curve being a prescient indicator of an oncoming recession in my 2017 annual letter. I’ve heard many arguments claiming that a yield curve inversion is no longer an effective forecasting tool. Many similar arguments were made back in mid-2006 when the yield curve inverted almost 15 months ahead of the Great Recession. The yield curve is a long leading indicator with an excellent track record of forecasting recessions. It would be foolish to ignore it in the current cycle. There is no doubt that the yield curve is flattening but it has yet to invert. As an astute Limited Partner in the Fund, you may want to counter my assertion by bringing up the fact that the 5-year minus 2-year Treasury yield curve inverted back in December. However, this combination of maturities makes little sense and can’t be used as a leading indicator. The much more relevant and economically meaningful yield curve is the 10-year minus 3-month because it directly impacts the Net Interest Margin (NIM) that banks earn. The 10-year minus 3-month yield curve has yet to invert and has actually steepened since the beginning of 2019. A flatter yield curve is usually a signal for slower growth but only a prolonged inversion is a signal for an oncoming recession. The Fed has traditionally been a reactive institution. The Fed will eventually hike interest rates too far, but only in the event that inflation takes off. With the US inflation rate falling below 2% in December, the Fed will undoubtedly be hesitant to follow through with aggressive rate hikes in 2019. The bottom line is that the yield curve has yet to invert and the current expansion cycle will continue despite being in the late stages. Although I remain cognizant of the market cycle, I make investment decisions based on the individual merits of each stock in the portfolio. Our investment approach is centered around three main pillars: 1) Focus on ROE, 2) Concentrated portfolio and 3) Long-term time-frame. I expect that uncertainty related to the outcome of the upcoming general election in India will result in heightened volatility. I would view any corrections as an opportunity to add to our current positions. As Gary Keller mentioned in The ONE Thing, “success is built sequentially.” Similarly, I’ve built out the Ashva Capital LP portfolio one position at a time. Our dominoes are lined up in terms of the portfolio and I believe we are well positioned going into an uncertain 2019.